I guess you can say that ditching the Garmin was a strategic move. 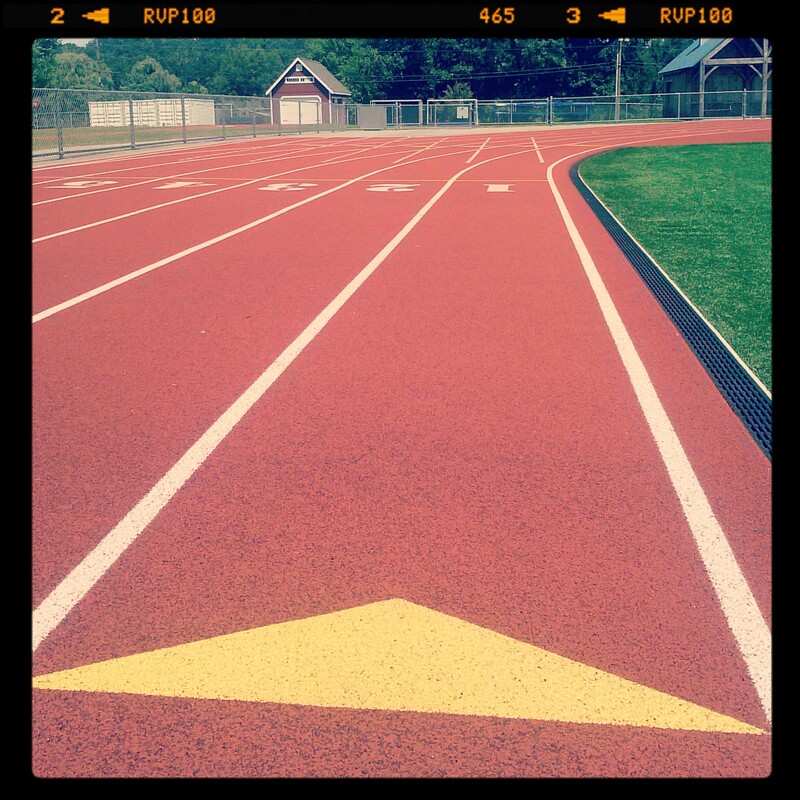 For one, I feel like by monitoring my pace while running I was in a way holding myself back. I had an “idea” in my head of what my pace “should be” and I feel like I was limiting myself by staying in that zone. What would happen if I just ran by feel? Ran until I couldn’t run any faster without over-exerting myself? Based my effort on my heart rate. I just felt that this was a better training move for me. 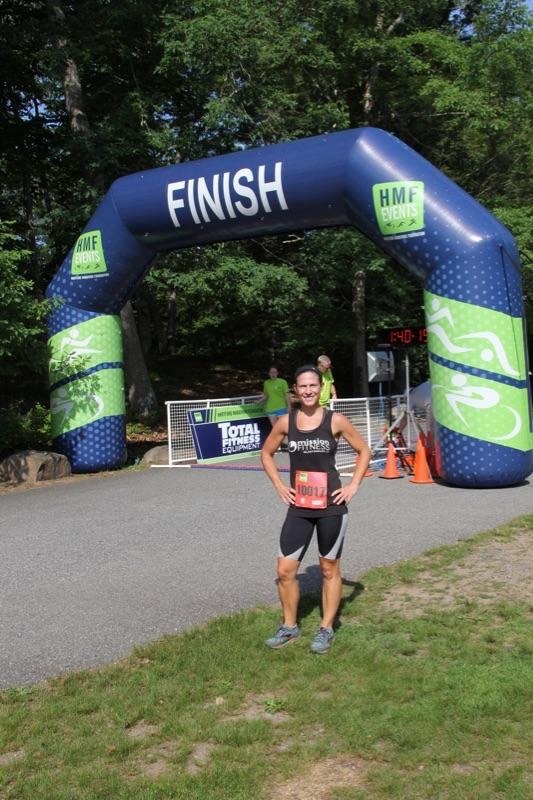 So, while I felt like my fitness level was pretty good going into the Summer Solstice 5.5 mile race, I had no idea what to expect. Was I capable of an 8:00 pace or a 7:00 pace? I honestly didn’t know, but I did have a hunch. I had a feeling that I could trust the fact that EVERY training run was done at maximum effort, and with a clear vision of what I was training for. That brings me to the importance of this race. My first year running this race. I ran the entire race flip flopping 2nd and 3rd place with who I would later learn to be Lisa. Lisa ended up placing 2nd, while a few seconds later I finished for 3rd place. I learned I had done a 7:29 pace, which blew me away. On the trails, that pace seemed extremely fast to me. I was happy! I wasn’t even sure if I was doing this one. 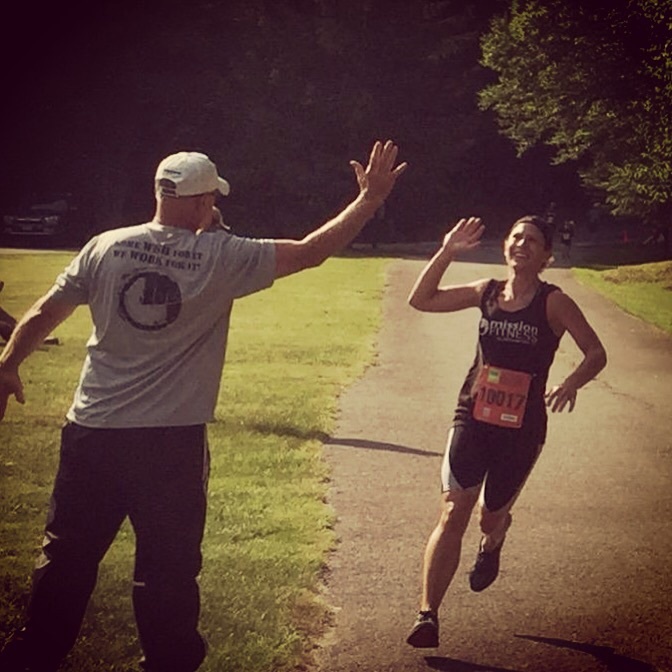 I was running my first 50 Mile Race just two weeks prior, and I was uncertain how my legs would feel. 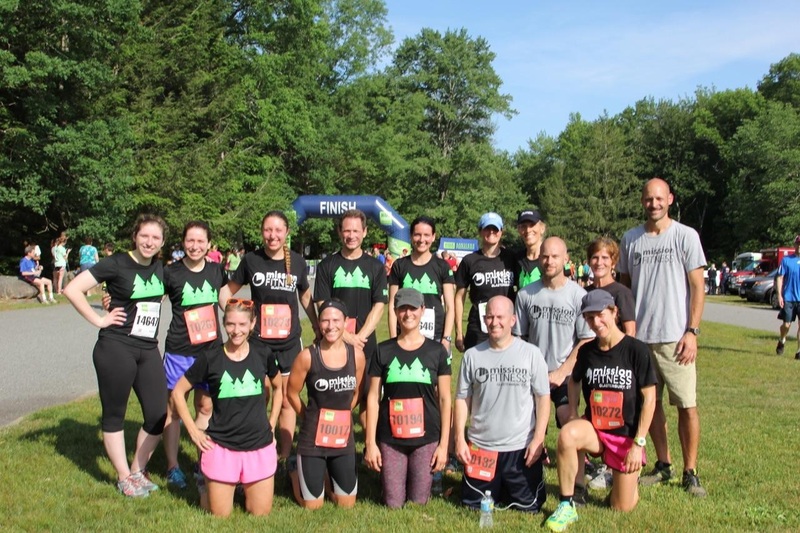 However, this was the first year we had partnered up with Hartford Marathon Foundation, where we lead a 6 Week Trail Running Series prepping runners for this race. So, I wanted to run to represented mission FITNESS and our partnership. I was surprised with my pace, but unfortunately I knew winning this race was going to be difficult as I got past early by a High School girl wearing an All-State Cross Country shirt. I was happy with my 2nd place finish! As I stated earlier, I had a lot of uncertainty going into this race. However, I also had some things I was certain about. 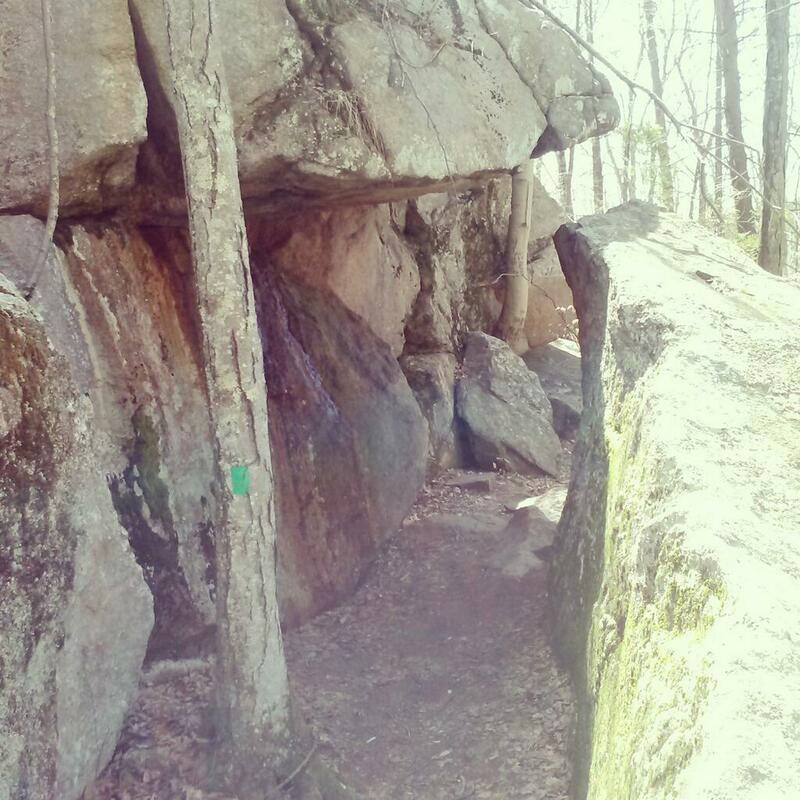 I had a realization once back in Connecticut and in the woods that Trail Running is my passion. It is when and where I find complete happiness. It’s my exercise. My meditation. My therapy. But, more than anything, I am starting to realize that it is something I have a lot of potential at. 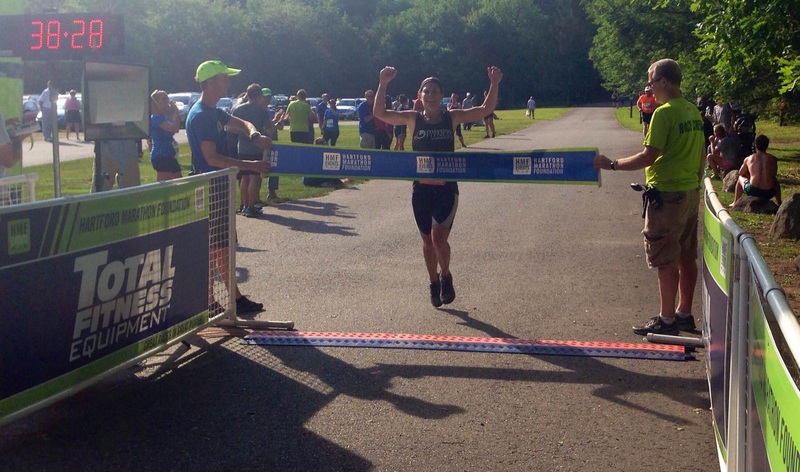 Racing and placing 6th among very good competition at the Cayuga 50 Mile National Championships last year made me realize I may be able to compete at a higher level. Being back in CT made me realize that I want to represent mission FITNESS and make my clients and the Owner (my brother) proud. I don’t want to look back and think about what might have been. If I could have been one of those runners I follow on Instagram who get to run for their job. I don’t want to wonder who I could have motivated at mission FITNESS if I chose to become that runner I dreamt to be. So, my runs started to have purpose. As I ran the trails, did hill repeats, etc. I would visualize crossing that finish line at the Summer Solstice Trail Race. The picture was so clear. My brother would be there with a big smile, and a high five. He would hug me after, proud of me for representing mission FITNESS for everything it is. My runners from the Trail Running Series would congratulate me, knowing they were lead by someone who knows what they’re doing. What I didn’t know is that my amazing husband and Mom and Dad would also be there. As well as an amazing, inspiring friend (Melissa) who gets this trail running thing more than any other friend…and REALLY gets my history with this race. It was really a dream finish. As many of you know, I have been training for my first ultra marathon these past couple of months. 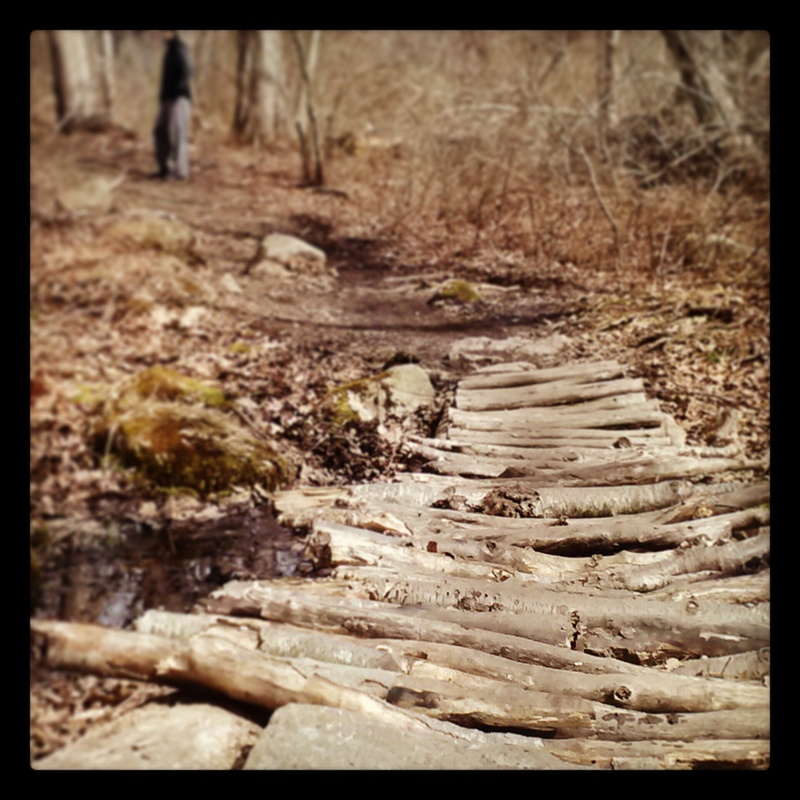 I signed up for the Bimblers Bluff 50Kish (the “ish” is what is killing me. An extra 1.5 miles. Seems so short. Tell that to my legs when I hit 18.5 miles on Sunday. Ouch) which is October 20th. It takes place through the woods of Southern Connecticut, consisting of mostly single track and forest roads. My training has been going well. Much different from my Hartford Marathon training. There’s the obvious: I am training mostly in the woods as opposed to mostly on the road. However, there are other changes I have made that I am very happy with. I was lucky enough to find a great training partner who has taught me a lot about how to train. Probably because he has ultra running experience, and his wife is a ROCKSTAR runner. the real deal. (www.msfitrunner.com) So, when a chick that rocks out sub 3 hour marathons & sub 18 min 5Ks tells you to do AB and C to get stronger & faster, you do it. Even if C is running on the ROAD doing 1/4 mile repeats. Yuck. But, me & the rockstars hubs do them. Why? As he says, “coach said so”. Well, turns out, as it has happened through most my sports career, coach may be right. While doing my last 2 training runs (18 & 20 miles at Case Mountain) I felt strong. I felt good (except that last 1.5 miles Sunday). 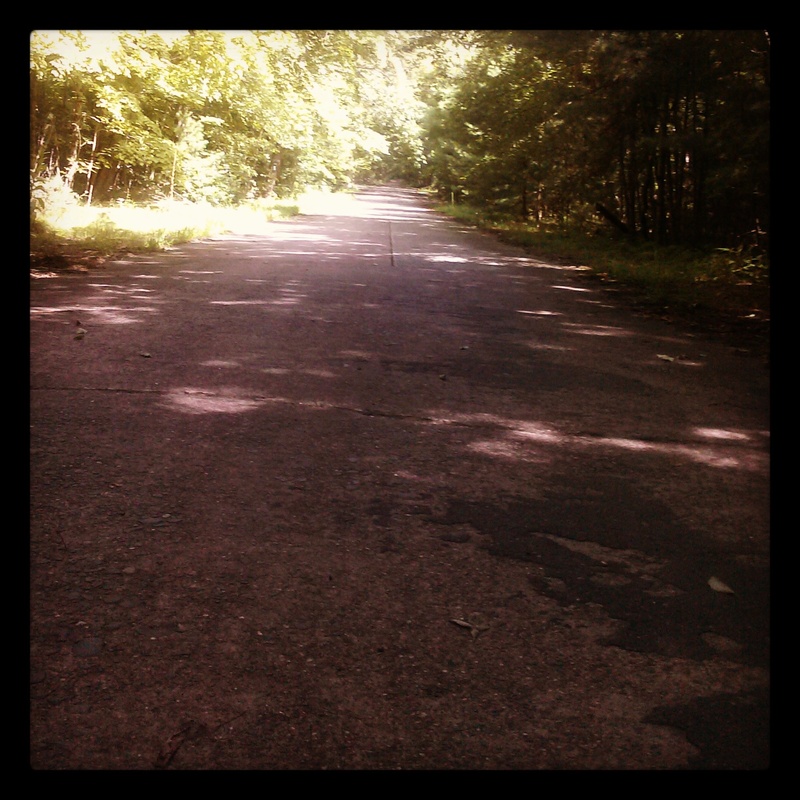 So, I have found a new, strange, love for speed work and hill repeats. I am realizing that training plans and coaches have you do these (awful) workouts because they work. So, instead of just going out and running different distances at whatever speed feels right for the day, then adding 2 miles to each long run, I am now mixing in some hill repeats, track workouts, core and bootcamp classes at mission FITNESS (www.missionfitnessllc.com), 30-50 mile bike rides, and lots of foam rolling! I am hoping this will all make sense and come together on October 20th for a strong race! It has been a tough winter here in the Northeast. After the Blizzard that dropped 39 inches, we were hit with a 2nd storm a few weeks later, dropping another 18 inches. Needless to say it is a hot mess everywhere, with no trails dry enough for a “clean” run. Going absolutely stir crazy, and with my first trail race looming around the corner (Bimblers Bash, April 7th) I knew I had to spend our day off on Monday on the trails. While many trails were still covered in snow, I jumped on bikerag.com to see if anyone was talking about some clean trails. 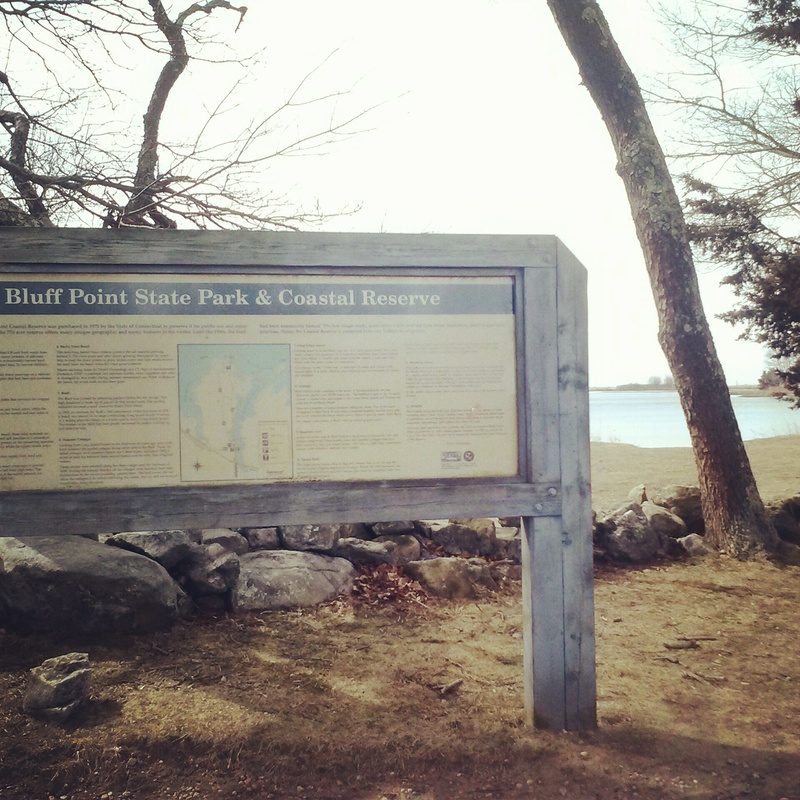 This lead us to a 50 minute drive to Bluff Point State Park in Groton, CT, which a Mt Biker said was dry! I have never been to this State Park before, and I was pleasantly surprised. The trail started off along the water of the sound, and then dipped into some fast, single tracks. I was surprised with how well my husband did, as he is just getting back into working out. He is a natural runner, and kept right up with me. He was happy to get breaks after hills, since I am coming off a bad chest cold, along with being in bad running shape. We were also offered rest periods when we would pop out right on the sound, offering amazing views. I am so happy we got out of the house and explored these new woods. After about an hour, we popped out at our car. While Erik walked down to the water I asked if he minded if I jumped back in to run up the hill we had just run down. While I entered the woods solo, I was able to get into my “trail running meditative state” and I couldn’t help but wonder how anyone would rather run on the road. 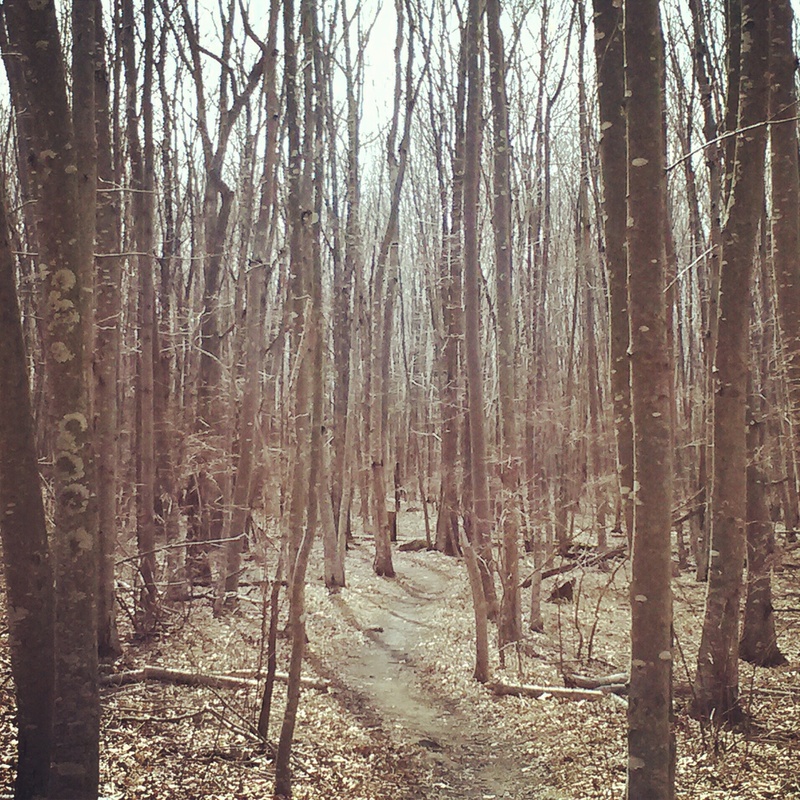 The tranquility and stillness of the woods, mixed with the twisting & turning of the trail makes it my happy place. Good thing we got it in….just got another 5 inches of snow 😦 Happy Spring!! !